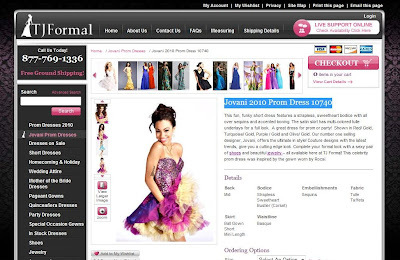 TJ Formal Dress Blog: Ask TJ Formal: Is my prom dress in stock? Q: How do I make sure my prom dress is in stock before I order it? So, first she sends an email by going to our Contact Us page where she sees the information she needs to send us: manufacturer name, style number, size, color choice, and wear date. This gives us all the information we need to check if we can get her dress. She clicks on the Email TJ Formal link and sends us her info. 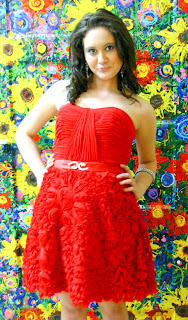 In a short time we email her back to let her know we do have this dress in stock in sizes 0 and 4. Any dress we have in stock in the store can be shipped out the same day you order it! Wow - that is fast! This is the best way to contact us during off-hours and especially for our international customers on different times zones. ...and asks one of our very friendly and helpful operators if we have it in stock. The operator tells her it is not in stock in our store, but she will check stock with the manufacturer to see if it can be special ordered. Sometimes the operator can check stock with the manufacturer quickly and will tell you in live chat right away, while other times it takes longer and she will ask for an email address so she can email you the availability. Bethie has decided on a dress, but she found these great shoes and needs to check them too! She calls us toll-free in the store 877-769-1336 so we can check for her. That was easy! Now Bethie is ready to place her order online. 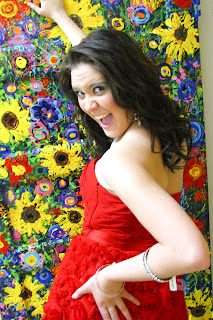 She knows which prom dress she can get by her prom date and which shoes to order with it. But she needs to do it quickly! Even though we could get her dress and shoes when she checked with us, it doesn't mean they won't get sold to someone else before she places her order. So it's a good idea to place your order quickly after you check with us on availability. If you wait even a day, there is a chance the dress will be sold. I like all the dresses you show here! Good advice too, thanks!